Exploit a subject or a theme to its greatest potential by bringing all possible reference to bear — then put aside the reference and create again using the potential of your unfettered imagination. Be prepared to dig around and try this and that. Time and again this third-generation work will gain “importance” and be superior to its precursors. Attempt to see through the prima facie material in front of you. So many artists are capable of rendering the obvious surfaces of nature. They may even bring great skill and facility to the job. Spend a minute or perhaps an hour truly looking at a subject and asking what may be the exploitable potential of the material. I’m thinking of concepts like “struggle,” “rebirth,” “monumentality,” “humility.” There are hundreds of these words, and, whether you recognize them or not, they can be found in the crevices of your individual personality. Further, you may wish to add an idea or a motif that was not remotely there in the first place. It’s this kind of thinking that makes the act of art truly satisfying and exciting, and if this means anything to you it lifts your work so it connects with the sensibilities of others who pass along in the human stream. Esoterica: Leaving this green island, this Ireland, I pack my sketches, my records, to my home studio on another continent. From these, from my acquired feelings, from everyone and every place that I’ve touched, I’ll try to build something of value. All of this may only result in one painting. Some of us live with this scantiness. My hope is that whatever I make will exemplify in some way the spirit and magic that I found while here. This letter was originally published as “Finding spirit” on June 15, 2001. Sara Genn: New Paintings runs until November 2, 2018 at Voltz Clarke Gallery, 141 East 62nd Street, New York City. If you’re in the neighbourhood, we would love to see you there. 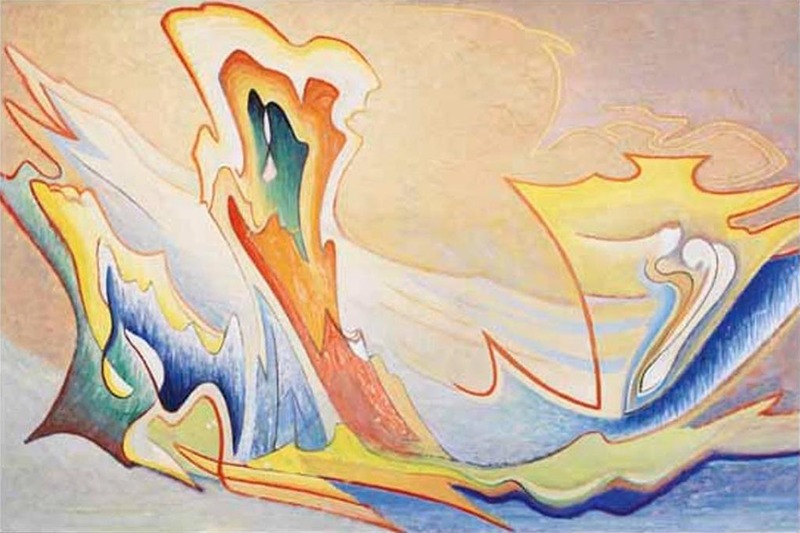 of course I have always loved and studied the group of seven’s ability to capture the spirit of this place, but I admit being blown away by the power of Harris’s abstracts when I saw them at the VAG…. His abstract works are that vision of spirit in all that he painted that came before and you can absolutely feel this power…. What a beautiful, inspirational segment! Truly defining the undefinable essence of creativity….it grows by default, and the artist is the catalyst and vehicle of its development. When fueled by the passion of creation….one feels potent and irrepressible….a dangerous exciting experience! It’s no wonder we cannot stop….no matter what our audience might think of our results. We have become “weightless as light itself”. Loved this piece – thank you! I’ve just returned from a 3 day river trip in the mid Yukon (where we live). It was simply spectacular and my heart swelled with each bend in the river as the fall scenery became ever more beautiful. It’s like being in a ‘holy’ space and I’m ever grateful. I believe that Emily Carr and her cohorts in the Group of Seven must have had a similar sense of AWE. 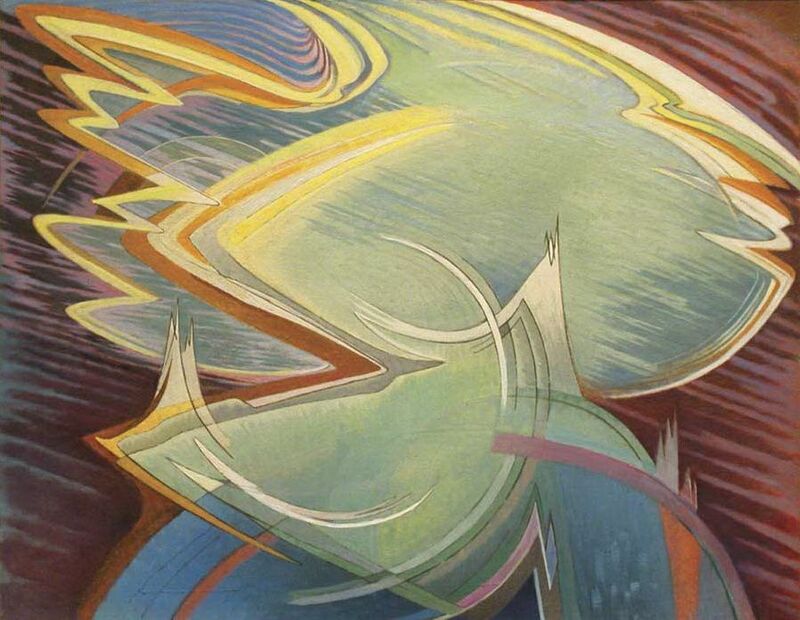 Seeing Lawren Harris’s work is like falling into this space. Such beautiful and moving words! 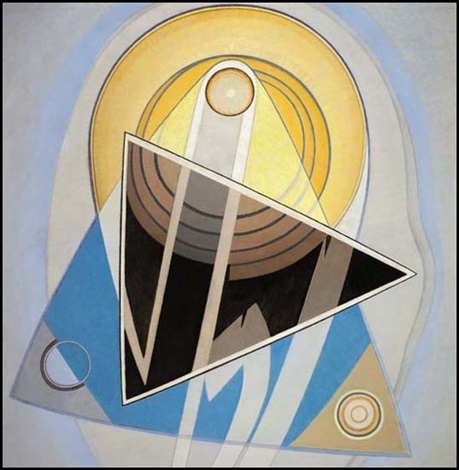 Lawren Harris’s abstracts emanate such power and a sense of timelessness. Seeing them at VAG a few years ago was an extraordinary experience and one I will never forget. I love the idea of meditating on a scene in nature and trying to connect with a concept…and ultimately striving to convey the feeling through the subject on canvas. I feel inspired to slow down and look more closely before diving in to composition! This was a wonderful article in content and paintings. Thank you for sharing it! Very inspiring and encouraging to us mortals! What great inspiration to pass on through the living river we call Art. Lawren was able to verbalize what many have felt and Bob was able to pass that information on to many more. We get things every day we live from our teachers and role models. This forum never gets old. I have to confess that I’m not ‘into’ the analysis and psychology of art, I just do it and love the result, or not! 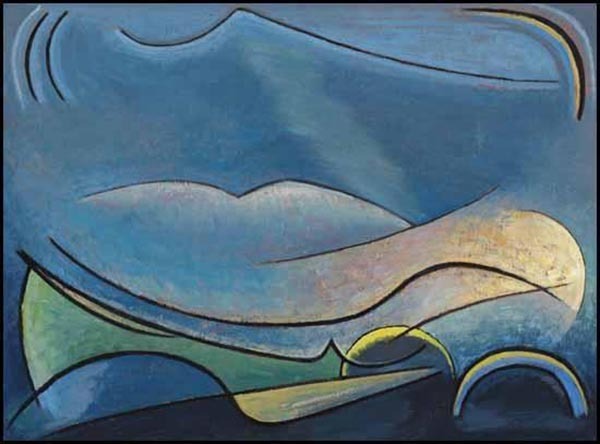 So I can’t really comment on all the above, but you’ve introduced me to Lawren Harris, and I love the work! Thank you so much! I love abstraction as well as all other styles and kinds of creativity, but it’s not often I’m introduced to someone totally new who’s work I really enjoy, so thank you! Participants will have 6 days to explore and immerse themselves in the ancient art of Batik. There will be a $30 materials fee. The instructor is renowned artist Dikki Van Helsland, who has taught throughout the US and Germany. 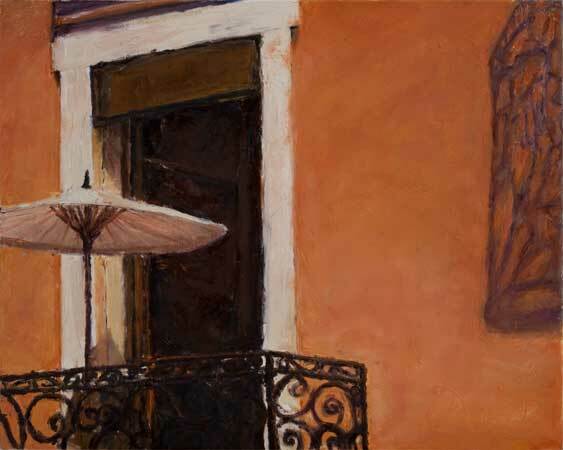 She is represented by several galleries in Arizona. 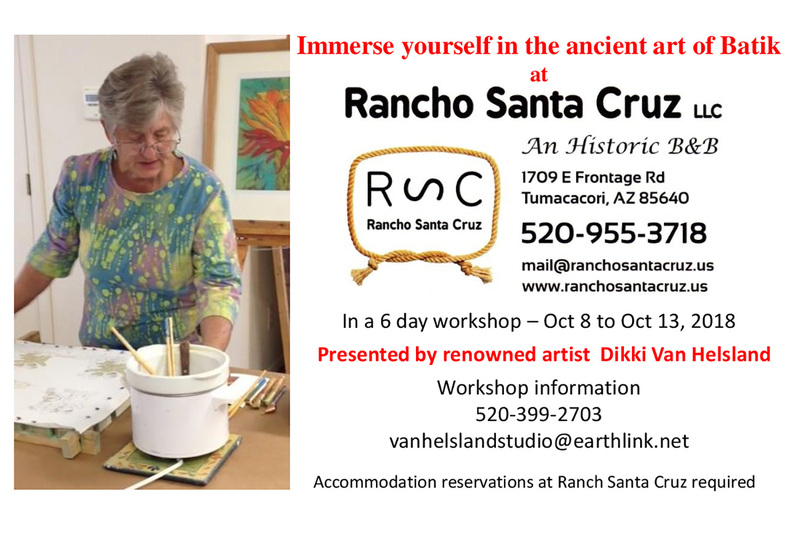 The workshop fee is $750 with required accommodations at the historic B & B, Rancho Santa Cruz. For workshop registration contact Dikki at 1-520-399-2703 or vanhelslandstudio@earthlink.net. I am a painter. I am delighted to be a painter.